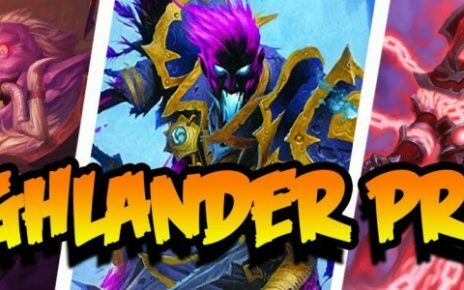 Hey guys, Karmakeddon here again and now I will be discussing some tips if you are going to be playing Hearthstone and not planning to spend any money on it. Basically, you would be able to reach higher ranks even if you are a F2P player as it has been proven time and time again by the guys like Amaz, Trump and Kripp. I talked about the ranking system and the rewards it gives out in the previous article and I did mention as well that if you want to get to the higher ranks, you need to have at least a deck that is better than the basic one that the game provides. So how do we build up that Hearthstone budget deck to start with? That is what I will be covering here with you today. Now, I have been an F2P player since January of this year. In the short stint that I have been playing, I managed to get to Rank 2 before even spending a single penny. The game itself awards you free gold so that you can start buying card packs by doing the quests. 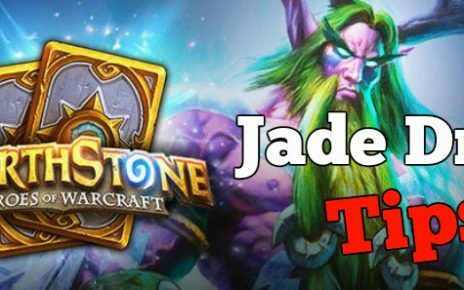 There are various quests that Hearthstone offers and by doing these little tasks, you can then build up your gold reserves. Another way to earn gold and free classic packs is doing the hidden quests. It is a must to do the practice games and getting all your class levels to 10 to get gold rewards from the Practice AI. Once you have done those, play the Expert Mode to gain an additional 100 smackaroons. By just getting all the Practice AI matches, and completing the basic collection and getting your heroes to 10, you would have 400 in the bank and 3 Classic Packs. That is a good start, but we are not done yet. We will be maximizing all that we can to gain more extra stuff. If you have mobile devices such as Android phones and tablets, download them there and log in your account on it since you would be getting 1 pack from the each device. If you have a Samsung Galaxy S6, even better as it gives you 2 more extra packs. Then if you have Apple devices, do the same thing and log on there as well. An iPhone and an iPad will give you one pack each. If you have done all these, you would have at least 10 free Classics packs which amounts to 50 cards that will be added to your collection. And that is not including the gold you have already earned which you can use to buy more packs! Now to the fun part. We will be building the Face Hunter deck. It is a very fast and a very effective and strong Tier 2 package. With this deck, you can mow down all your opponents in the ranks 20-16, which will promote you to a higher tier thus giving you better rewards at the end of the month. Since you do not have a huge collection yet, what we will do is we will be Disenchanting the other ones that you will most likely not use. You will, in turn, get Arcane Dust which we will be using to craft the necessary cards. Minions like Am’Gam Rager are good candidates to DE as there are far better options than those and other class cards from classes you will not be playing can be safely disenchanted. I suggest keeping the Warrior Pirates and other Classic Pirates however as they will go towards your first top tier deck in the future. For now, we will focus on using this Face Hunter pack as this can bring you to the top ranks if you know how to play it well. Your first Disenchant, or DE for short would give you a reward of an additional 95 Arcane Dust. If you DE’d a Common card, it gives you 5 dust. A Rare will net you 20, an Epic will net you 100 dust and a Legendary will give you a whopping 400 dust. Golden versions of these will give you the craft value in dust. Gold Commons will be 40, Rares will be 100, Epics will be 400 and Legendaries will be 1600. We will DE all of the cards you get in the pack unless it is a Pirate, a Hunter class card or a Beast. With almost 70 cards in your collection, you should hit a dust total of around 700 Arcane, give or take. Now we will be crafting cards needed. This deck that I have for example is around 880 dust if we take out the Golakka Crawler, which is not a core card but a situational tech one. 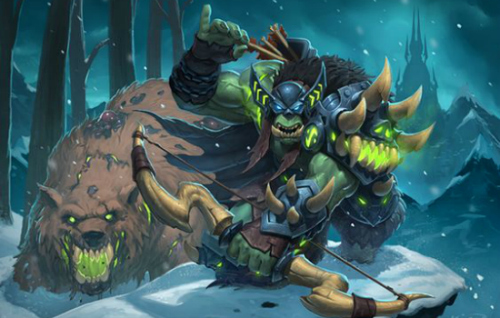 We will also be taking out the Kindly Grandmother as this comes from the Karazhan Set and substitute it for a Hunter Class card you can get for free which are the Timberwolves. The most important cards to craft here are 2 copies of Highmane, and 2 copies of Fledgeling, the blue border cards as they will be your tide turners. These 4 cards take up half of your dust as they cost 100 each to craft. 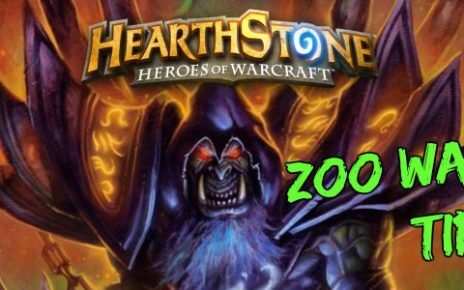 Another core will be to craft 2 Hounds, 2 Alley Cats, 2 Macaws and 2 Crackling Razormaws. These totals to 360 Arcane and it will total to 760 dust all in all. Most of the others in the list are free class cards and will be available for you since they are part of the Basic Collection. Whatever is missing, can always be replaced with the Basic Collection Beasts like the Bloodfen Raptor as they are very good since they are Beasts and would provide synergy for your deck. With this list, you can advance to ranks 10 and above, and if the stars line up for you and give you good match ups, you might find yourself in rank 5 and above with the best Hearthstone rewards at the end of the month. Hope that was useful guys. See you soon, good luck!